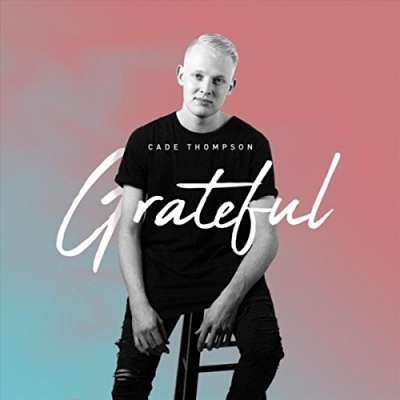 Up and coming singer songwriter Cade Thompson has just released his latest single 'Grateful'. LTTM caught up with this talented 17 year old soulful artist to find out how he's building a name for himself. I am a 17 year old Contemporary Christian Music artist living in South Dakota who is experiencing what it is like to be a teen in this world while still balancing school work and a young career. I started leading worship at my church in 6th grade. In my later middle school years there were many mentors that poured into my life at the time I felt the calling on my life to write songs. More recently through some crazy connections, I have been blessed to have just the right people pouring into my life and my music journey which has launched the current path of my life. What is the story behind your latest single 'Grateful'? This song was written out of a true and honest heartfelt burning in my heart. I really always wanted to have a song that is just full of a simple truth that all people can cling to. I feel that Grateful is the perfect fit for that. Coming from a culture that is taught to focus fully on ourselves, this cutting edge pop song challenges us all to take our eyes off ourselves and focus on living a grateful lifestyle to make a positive impact on those around us. When can we expect to see a full album from you? Well, the world of albums seem to be changing in the industry right now so I am releasing more singles soon and working towards an EP that will be out later this fall. As a young new artist, what has it been like trying to make a name for yourself? I can honestly say that I have found the more I keep the focus on the right things and treat it all as more of a ministry then that is when the best things happen... things I could have never planned. It is weird at first starting out but I have also found that establishing a healthy team around me and making sure that my focus is on the right thing then that is when things have excelled. My style of music is very radio friendly Contemporary Christian Music. My biggest musical influences are Phil Wickham, Jordan Feliz, and Needtobreathe. My favorite album of all time is 'Brand New' by Ben Rector. It just has so much goodness in it and I love it. I would definitely have to say Brother by Needtobreathe. What does the next year hold for Cade Thompson? Currently, I am going back and forth to Nashville frequently working on finishing up my EP and continuing to write. I have a full calendar with festivals, show dates and ministry opportunities filling up the rest of the year as well. Oh yeah, and I have to finish my last year of high school.